Even though the weather here is still in the high 90’s, we try to make things feel as “fallish” as possible. We start burning fall candles, we decorate with fall leaves and pumpkins, we watch football, and we make this popcorn. A friend shared it with me a couple years ago and we make it all the time. It’s such an easy and perfect snack. It also a perfect (and cheap!) food to take to a fall festival, school party, potluck, or make even make a big batch and take to snack on at a soccer or football game. 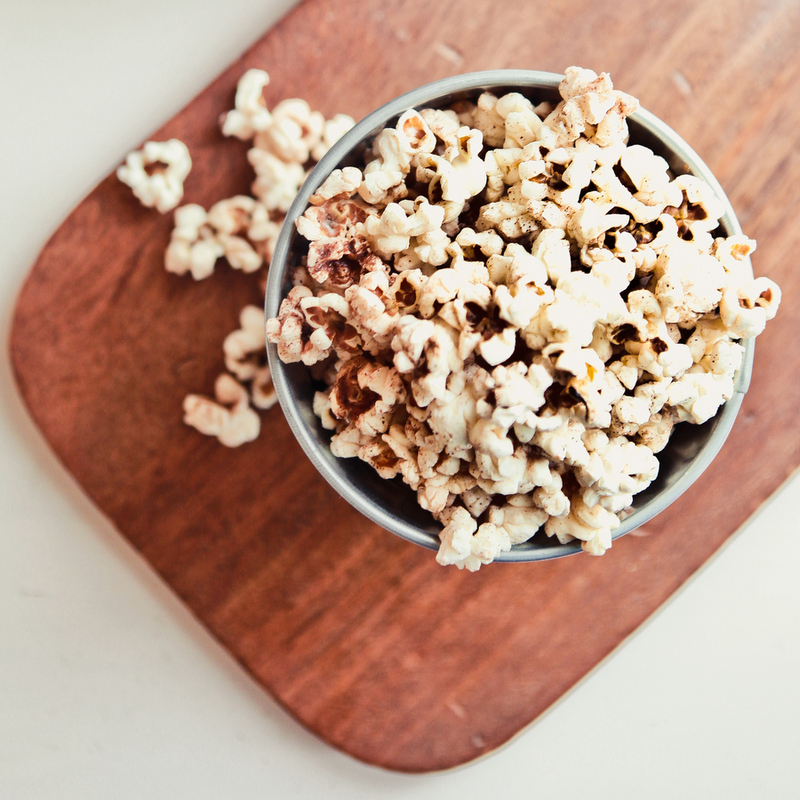 I pop our popcorn on the stove and, in my opinion, its so much better than microwave. It can be a bit tricky to master and the first few times mine was a bit burnt, but stick with it- its totally worth it (and SO much cheaper than the bags) I’ve included the instructions for stovetop popcorn, but you can also make the topping and just sprinkle it onto microwave popcorn or air popped popcorn. Pour oil into a large pot and add three kernels of popcorn, heat the oil over medium heat. 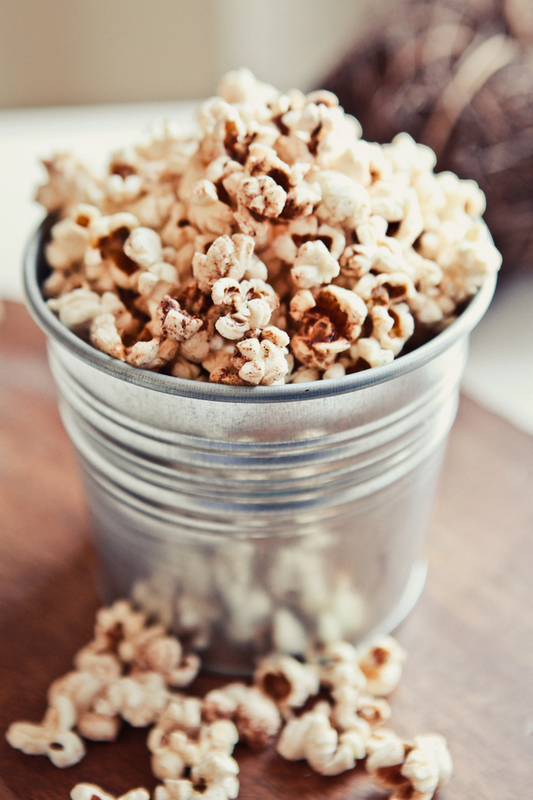 When the three kernels pop, remove the oil from the heat and add the cup of kernels. Cover the pot with a lid and gently shake the pot (in a circular motion) to cover all the kernels in oil. Return to low-medium heat. Crack the lid slightly in order to allow steam to come out of the pot (it makes the popcorn crunchier). As the popcorn starts to pop, stay close and periodically move the pot in a circular motion so that the kernels don’t stick and burn. Wait until the pops slow to 1 or 2 pops per second. Turn off the heat, but don’t remove the pot from the heat until the pops are about 1-2 seconds apart. Melt the butter, if you are using it. Put 1/3 of the popcorn, into a bowl with a lid. Pour 1/3 of the butter over the popcorn (or spray lightly with pam- it helps the spices stick to the popcorn) and sprinkle 1/3 of the topping. Put on the lid, and shake the bowl to cover all the kernels with butter and topping. Pour the finished popcorn into another bowl (sorry for all the bowls- it really is the least messy way to make sure the topping covers all the popcorn) Repeat two more times with the other two thirds of popcorn, butter, and topping. You’re done! Mix all ingredients together and sprinkle over popcorn. Sounds yum! 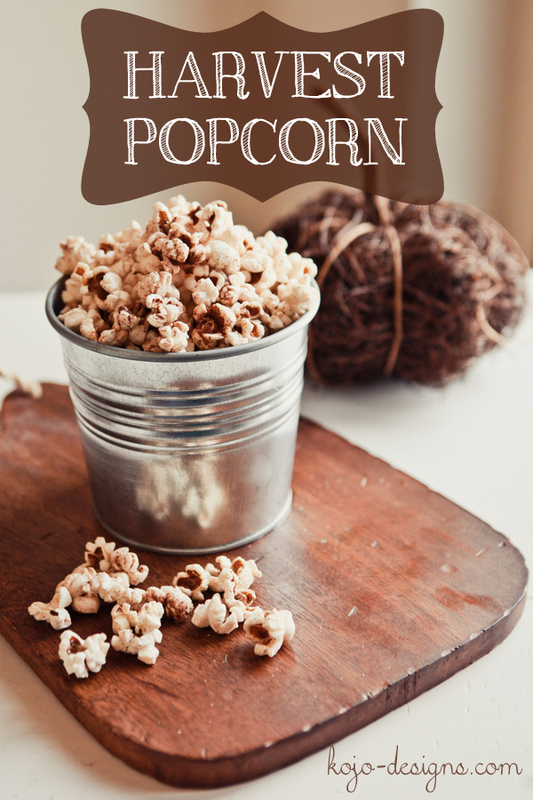 I finally mastered stovetop popcorn & won’t go back! I cook it with coconut oil……so tasty! Can’t wait to try this topping!